Customers easily take a simplified process of creating laundry orders. Let users record customers' information and pick-up, delivery or review them to broadcast news and promotion. 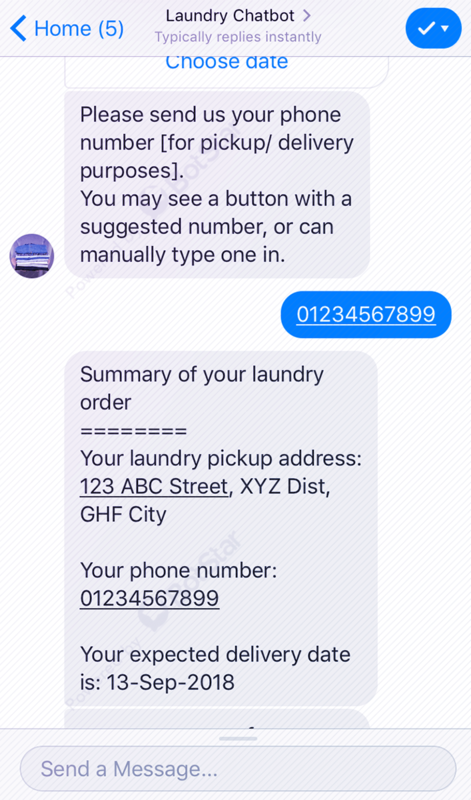 Laundry Chatbot is designed to receive customers' request for laundry & dry-cleaning service, answer customers’ questions. This solution helps you increase customer retention and decrease load on the customer support. With both the website or Facebook Messenger, a customer does not need to register anywhere, the user information is created when the first order is made. In terms of the pick-up and delivery of clothes, this chatbot also plays a significant role. 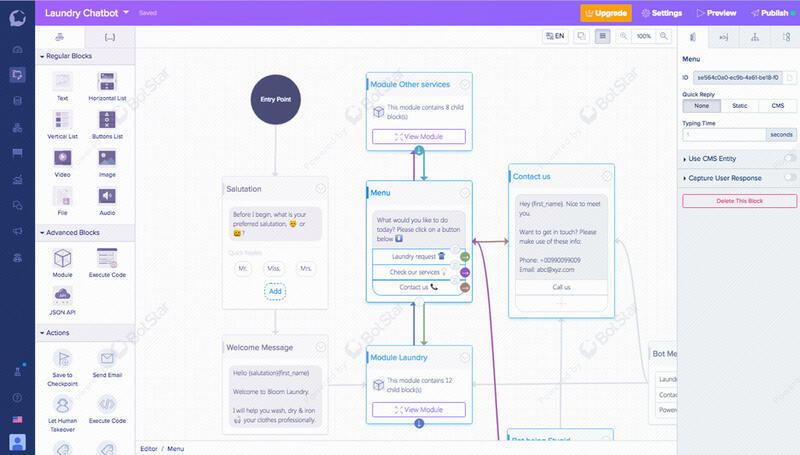 Using BotStar template, user can easily build a chatbot which consists in recording customers’ time and address to pick up and return clothes in time with the webview feature.